With less than 100 days to go until Palestine's Asian Cup opener, the national team has landed in Bangladesh to take part in the Bangbandhu Gold Cup. 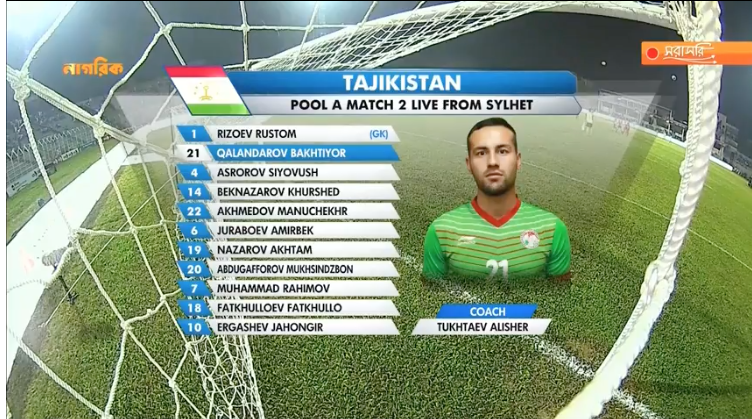 The opener for Palestine is a third meeting against Tajikistan in two years. 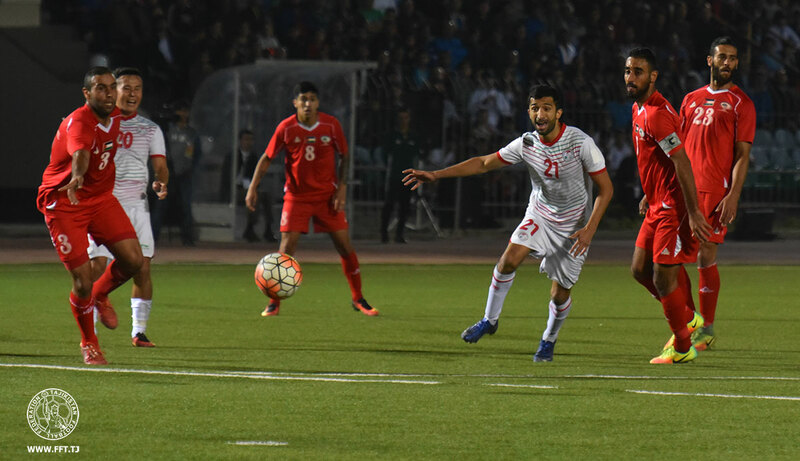 Palestine will be hoping to record their first ever win against the Central Asians after trading a pair of draws in 2016. Tajikistan went top of the group earlier today by taking care of Nepal by a score of 2-0. With the exception of Abdelhamid Abuhabib (ruled out due to injury), it's safe to assume that these 19 players are, in the mind of Ould Ali, the best of the domestic league has to offer. Any player not part of this squad faces an uphill battle to make the final Asian Cup squad even if his name gets included in the preliminary squad of 50 players set to be announced next month. Michel Termanini's move to Hilal Al-Quds gives him more time to prove he deserves an spot on the team at next year's Asian Cup. The absence of a back-up fullback is indicative of how close the staff is to making a decision at those positions. Jaka Ihbeisheh and Alexis Norambuena seem likely to be included in the squad as foil for Abdallah Jaber and Musab Al-Battat. Do not be surprised to see them included in the squad for the friendly vs. Bahrain later this month. The other battles to watch for feature a battle royale on the left wing with Jonathan Cantillana trying to hold off challenges from naturally left footed players. He will have to prove that he is back to his old self following a long layoff from consistent game action. The story of 2018 is how utterly dependent the national team is on their foreign based forwards to score goals. This is especially the case against average to above average opposition. While the likes of Bhutan and Maldives afforded more than one player the chance to pad his goalscoring stats it has proven a lot tougher against proven Asian opposition. Khaled Salem. who capitalized on three appearances with the national team in 2017 by scoring twice, is back fresh off his solid start with Balata. It speaks volumes to the dearth of forwards in the WBPL that the national team is on its third attempt in seven years in a futile attempt to incorporate the forward into its plans. The alternative at the position is Mohammed Balah, who despite outscoring Mahmoud Wadi in the Gazan league two years ago has yet to score in Jordan. The powerful forward has been getting game time at That Ras and will be hoping that a goal- any goal- can open the flood gates. This is the one position in the national team that will almost certainly be occupied by foreign based players with Mahmoud Wadi and Yashir Pinto Islame shoo-ins for the Asian Cup squad. Interesting alternatives from Matias Jadue to Saleh Chihadeh could also force their way in to the reckoning- should they be invited to the November camp. 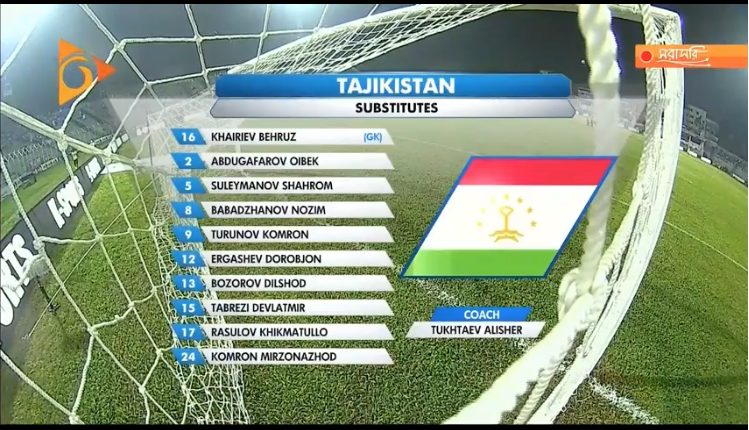 A sudden change in the classification of these matches has seen the friendlies listed on the FIFA website. 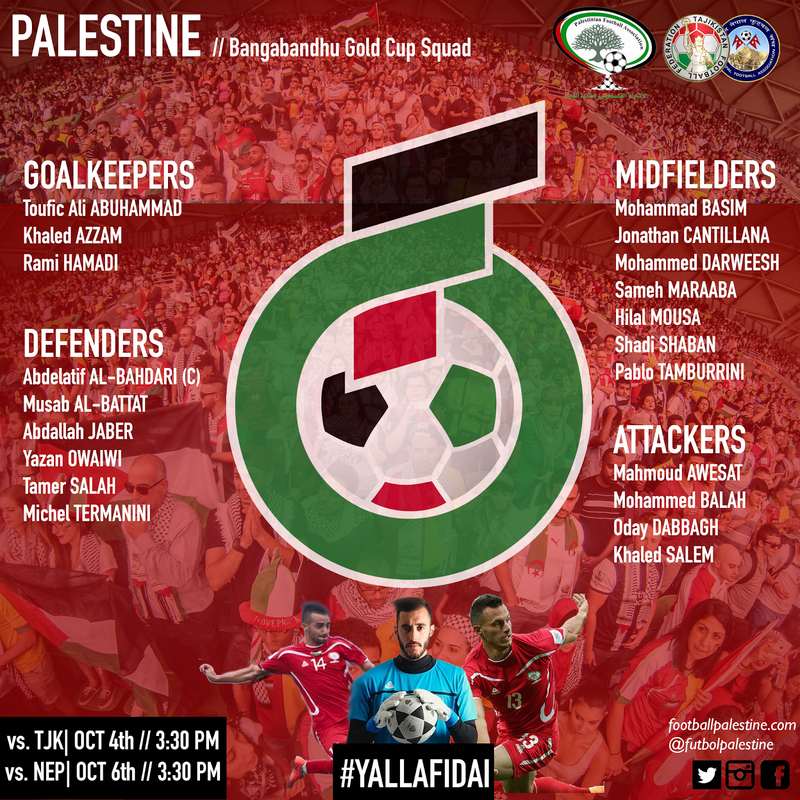 Football Palestine has learned that the match vs. Bahrain will go ahead even if the national team advances to the final of this tournament (thus violating the maximum 2 matches per window rule imposed by FIFA).